The launch of the Partners in Shaping Reality Project for the 2016-17 academic year started with recruiting new participants for the groups. We held two fairs at Achva Academic College and Tel Aviv University, from which we formed three new groups. The first group is at the Achva Academic College and it in partnership with the school’s Social Involvement Department. The Palestinian and Jewish students will participate in 15 bi-national meetings of which the focus is group-dialog. Additionally, the group will take part in two field tours and weekend long bi-national seminar. Towards the end of the project they will plan, organize and execute a shared activist action in their campus. The second group is the Activism Course at Tel Aviv University. 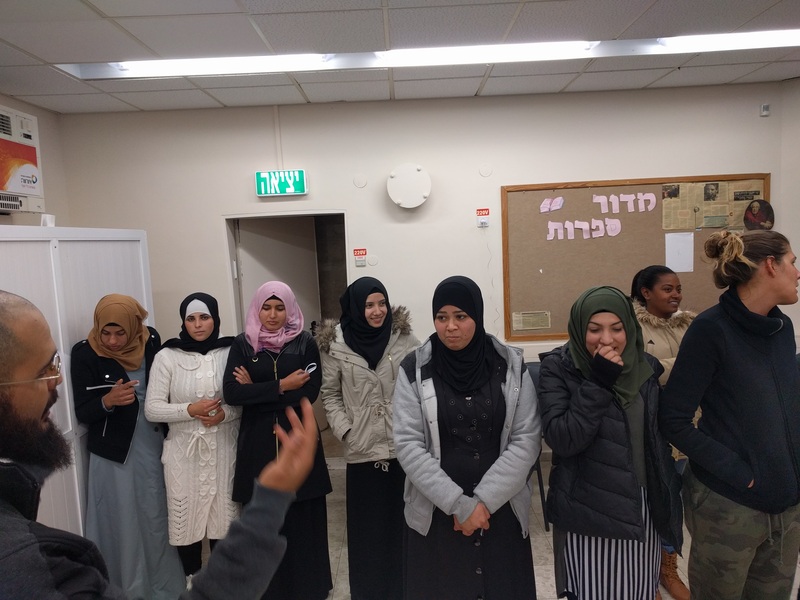 This group was formed in partnership with the school’s Social Involvement Department and ACRI, who is teaching the course “Racism in Israel and the Struggle Against It.” In the formal course the students learned theories and academic reviews regarding the topic of racism. In our sessions, the students learned the tools need to create social initiatives in the campus, through bi-national dialog and action. 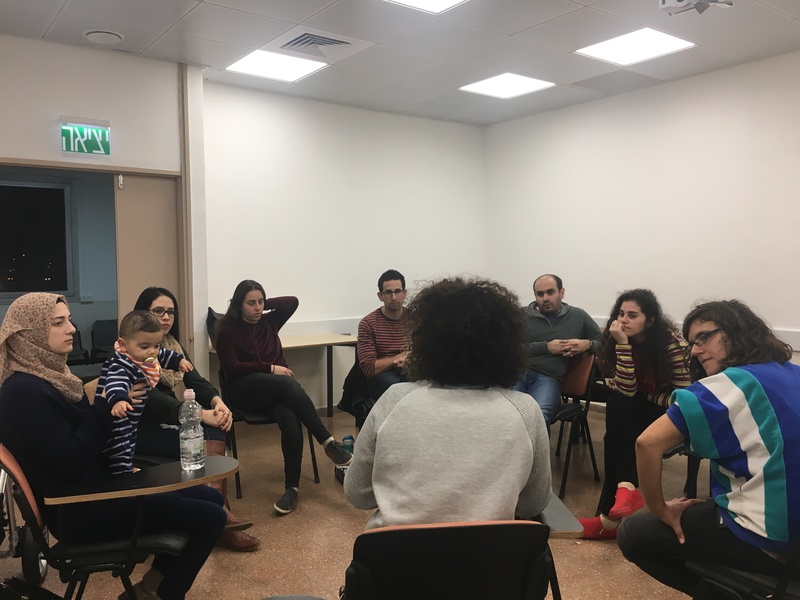 The group met for six sessions and discussed social and political dilemmas relevant to the current political reality; all specific topics and examples were raised by the students themselves. In addition, the group had a tour in Jaffa about the city’s history and its current socio-political struggles. 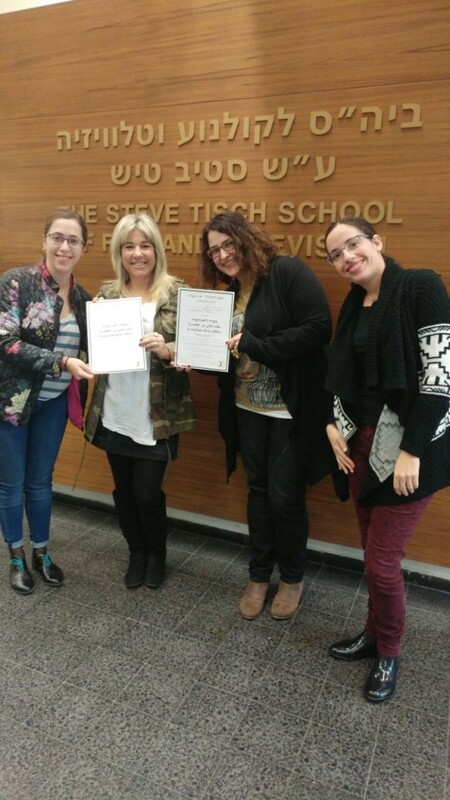 In the end of the project, the students held a joint initiative in which they distributed an “Office Without Racism” diploma to some of the university’s administrative offices. The third group is a bi-national group that was assembled from various faculties around Tel Aviv University. The students joined the group through our recruitment activity at the students’ fair. In additional to the bi-national dialog sessions, we had an open event for the whole student body about the strengthening religious establishments in the day-to-day life in Israel/Palestine and its effect on the political discourse. The event was a screening of Meny Yaesh’s movie “Gods Neighbors” followed by a discussion with two local activists, a Jaffa based activist Abed Abu Shehadeh and a Mizrahi activist Tom Mehager.